Many sacrifices were made but this failed to stop the devastating effects of the recession and the crippling rent payments, according to The Jona Group which announced this week that a number of its Galway businesses have gone into voluntary liquidation. 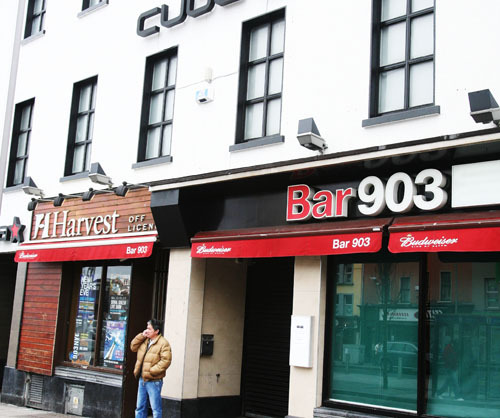 It was revealed earlier this week that the businesses, which are Cuba on Eyre Square, The Cellar Bar on Eglinton Street, and Harvest Off Licence who trade in Raven Terrace, Woodquay, Oranmore, and Moycullen, have gone into liquidation with the result that 85 people have lost their jobs. The news comes as staff at Celtic Bookmakers in Prospect Hill, Galway city, and in Tuam, as well as hairdressing staff at the Augustine Street Toni & Guy salon, wait to find out their fate after announcements of possible closures and restructuring were made this week. Regarding The Jona Group businesses, director John Grealish said in a statement: “I know that this event will be hardest on our employees, our suppliers, and our landlords and I sincerely regret that this is happening but the companies concerned have no alternative. Mr Grealish went on to say that in order for the businesses to have survived agreement with landlords on rent reductions had been required. “In some instances this was forthcoming and sustained, however in most cases the Jona Group companies were unable to agree rental levels with landlords which would enable us to continue. Ultimately other cost reductions were not sufficient to enable each business to continue to trade, resulting in the difficult decision to go into voluntary liquidation,” he said. Mr Grealish again expressed regret that 85 jobs will be lost and paid to tribute to the “fantastic people” who have worked for the various companies. He added that the remaining businesses in the Jona Group, SuperValu, Moycullen, Centra, Moycullen, and Centra, Ballybrit, remain unaffected by the annoucement. Meanwhile, it was confirmed that Celtic Bookmakers, owned by former Fine Gael government minister Ivan Yates, went into receivership yesterday. The company which has bank debts of around €6 million along with rents owing to landlords, employs 237 people at 47 betting shops around the country, including Prospect Hill, Galway city, and in Tuam. It is hoped that over 100 jobs could be saved by some shops being sold on, although, it is expected that many will close in the coming days. The restructuring of Toni & Guy salons across the country, including a salon in Galway, was being discussed at a meeting yesterday held between representatives of the UK headquarters and management of some of the Irish salons. It has been suggested that up to five salons could be at risk of closing, however final details were not available at time of going to press. Toni & Guy opened its first Irish salon in Dublin in 1993. It now has 13 salons in Dublin, Galway, Cork, Kilkenny, Naas, and Waterford.